Even if you don&apos;t generally pride yourself on your organization skills, taking the time to create a home inventory before you move is a step that can create a smoother, less stressful moving experience. Can you imagine the confusion of facing piles of boxes in your new home, and not being sure where to find that one critical piece of tableware or a favorite book -- and the anxiety of wondering if your precious heirloom is lost forever (or just in storage)? With a few steps, you can create an easy home inventory that will reduce your stress level and allow you to enjoy the process of moving. One of the first steps to any successful move is to purge any items that won&apos;t be taking the trip. Not only will you feel better, but you&apos;ll also lighten your load and create a clean slate for determining how to inventory important items. The best time to start your inventory is as soon as you&apos;ve completed the purge -- and weeks before your move if at all possible. Find something that you&apos;re not using on a regular basis? 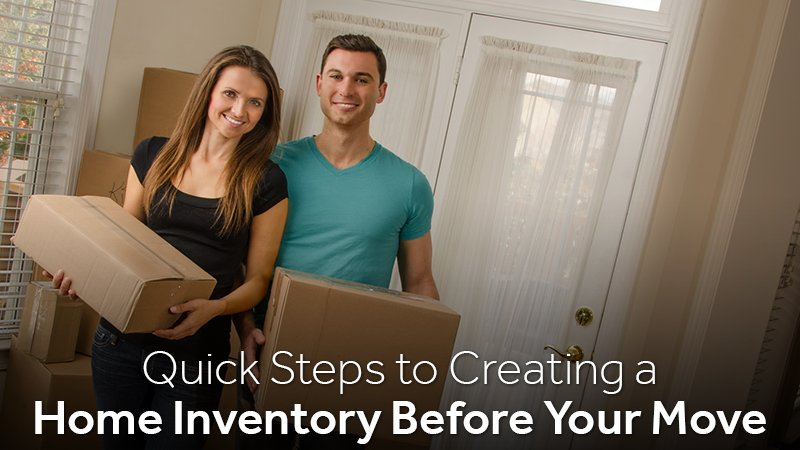 Go ahead and pack these items up or store them during your inventory to save time later. Serial number, brand logo and model number. Custom add-ons or upgrades to your items. Consider getting an assessment of unique jewelry or antiques to go along with the photographs. Any wooden items that could easily be scratched or damaged in transit (pianos, tables, chairs). Have a lot of smaller items, such as collectibles? Group them together for a photograph, just be sure you can see all the vital bits before you snap. 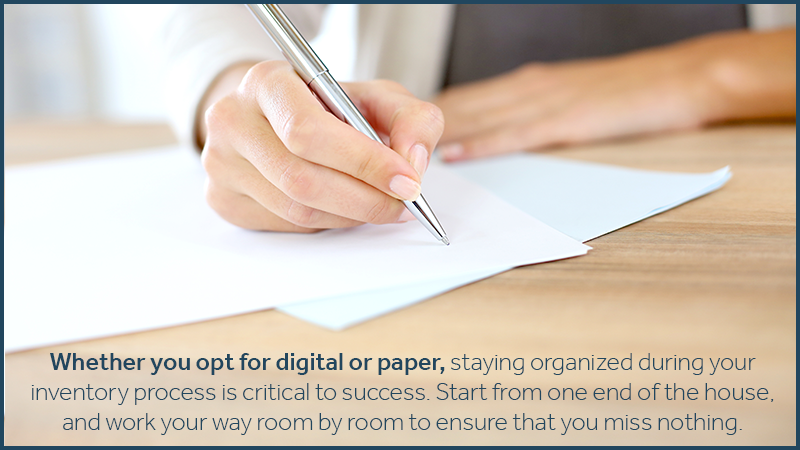 Whether you opt for digital or paper, staying organized during your inventory process is critical to success. Start from one end of the house, and work your way room by room to ensure that you miss nothing. Digital inventory may be easiest as you can group photos and items together in folders by room. Whether you have a written inventory or a digital one, make a copy of the entire project to give to a friend or family member not involved with the move for safe keeping.